Imagine an athlete going down on an ice track—using a sled—at a speed of 90mph. It’s terrifying to think about. Now imagine training for it every day for four years! Luge and bobsled racing are known to be the toughest and most dangerous winter sports. But there’s another sport that’s taking the world by storm—skeleton racing. On TV, this sport looks incredibly easy. It’s fast and fun to watch; but the mere thought of hurtling down an ice track headfirst is a scary notion. Skeleton racing is all about speed. You need to build momentum using your body. If you don’t get a good head-start, it can hamper your chances of winning. Unlike other sports that require teamwork and have a scoring system, skeleton racing only has one requirement: cross the finish line before other athletes do. 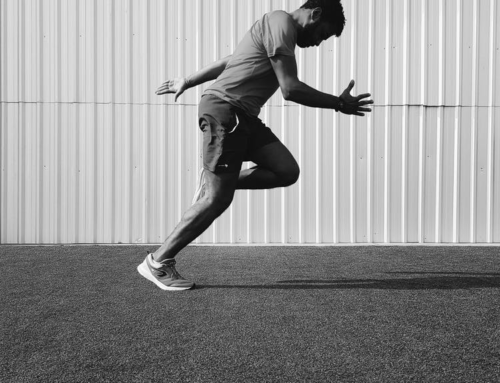 How you start and maneuver your body makes all the difference. 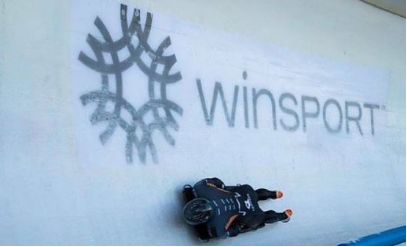 Unlike a bobsled, the sled for skeleton racing is made from carbon fiber. This means that it doesn’t have a proper frame. This makes it difficult to control and the chances of injuries are high. You need to use your knees, shoulders, and stomach to balance yourself and take control of the sled. One wrong move can result in injuries or slowing down. The goal is to steer using your body but to make sure you don’t use all of your weight. This can be tricky because you’re supposed to steer as little as possible. You need to let your body naturally take control. You only have a few seconds to win the race and prove yourself. It’s not the sliding down that’s difficult. It’s the turns that are brutal on the body. Every turn creates immense pressure. You’re going to feel dizzy and you’ll feel like you’re a rocket being launched into space. It can leave you sore and your muscles will become tense. Akwasi Frimpong makes it look easy, but the sport is anything BUT a breeze! 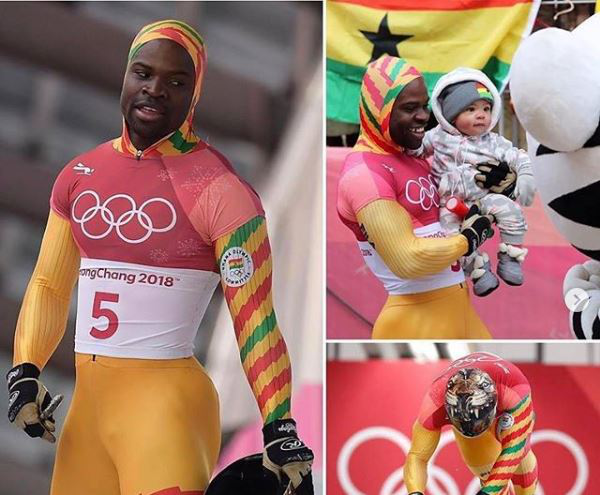 Akwasi has earned a reputation for his speed and strength; he’s already excelled as a sprinter and a bobsled racer, however, he continues to push himself as an athlete and is determined to bring in the gold for Ghana one way or another!